Sarah Martise is a licensed art educator equipped with a Master’s Degree in Art Education. She taught in the public school system for 8 years before leaving to stay home with her 2 children. 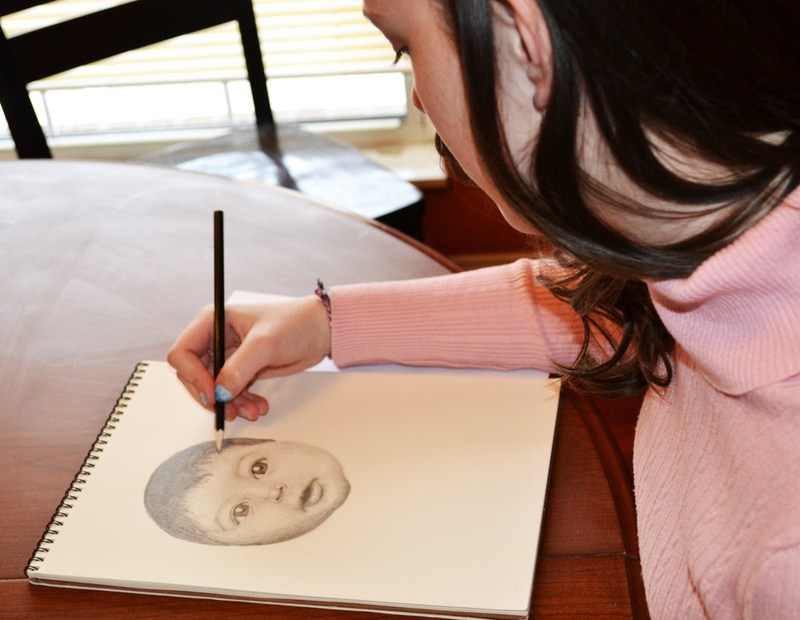 Having already been introduced to the homeschool arena by her homeschooling sister, Sarah decided to share her love of art with homeschooling families in the area. Starting with only a few students, classes have quickly been growing, which led to the expansion of the online classes. This has given her an extremely exciting opportunity to teach students from all over the world. After being in the public school system and seeing the constant borage of testing and wasted time on behavior management, she has decided to teach her classes in a different way. She works to keep projects up to date and exciting, while getting to know her students individually. Blossoming Artists is not just a business, but is an opportunity to introduce students to a lifelong appreciation of the arts, an accepting creative environment, and also to a community of learners and parents that can help to support each other through their homeschooling journey. Sarah has also been active in the area of homeschool assessments. Much like in the classroom, she does not require everyone to fit into the same mold. Her work with parents is to support them in whatever path of schooling they choose. Whether choosing traditional homeschool, unschooling, or any other path fits your family dynamic, Sarah will work with your individual needs. She strives to be a strong support system, even throughout the year, to help you to succeed and be comfortable. My goal as an art educator is to form connections with all of my students while creating a challenging, motivating, and supportive environment for learning. I hope to instill a life-long appreciation for the arts and for learning. I strive to introduce students to a variety of artists and cultures, while creating works of art that speak to their individual talents and interests. At Blossoming Artists children of all skill levels are invited to join us to express themselves and create their own works of art that they can be proud of. We work to build confidence in a fun, non-competitive environment, encouraging their individuality to take form within their artwork. I understand that it is not about training future artists, but rather, about forming a base for the scaffold of learning to better understand and appreciate the arts, while feeling comfortable with self-expression. This understanding can take students a long way no matter what path they may follow in the future. 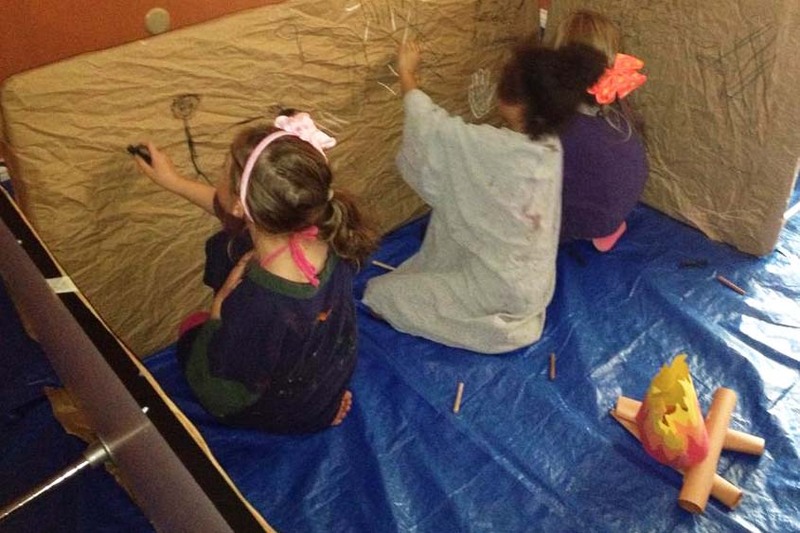 Parents are always welcome here at Blossoming Artists. My home is open during in person classes to parents to come and visit with one another in the other room while students work. Parents need a supportive environment, too! Parents have been able to form friendships with one another, and also plan playdates. We have jokingly called it our “homeschool support group” in the past. Siblings are welcome, as well. Sometimes parents want to be nearby to observe their child during class, for whatever reason. This is always acceptable, as long as it is not disruptive to the learning process. I enjoy getting to know my parents as much as I love getting to know my students. For online classes, it is often helpful but not required for the student to have the parent nearby, especially the younger students, just as an extra support. If it is better for you to drop your child off and come pick them up when class is over it is absolutely fine, as well. Students will not be sent outside unattended unless a parent’s care is visible in the driveway.